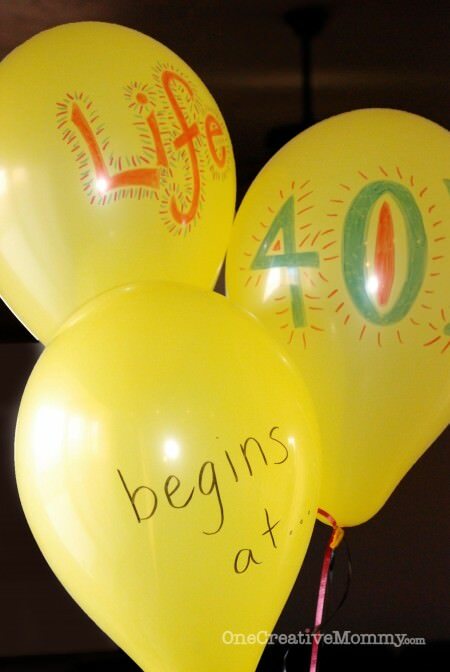 You are here: Home / Parties & Gifts / 40th Birthday Party / Life Begins at 40! Do you ever feel like you’re forgetting something? I do. A lot. 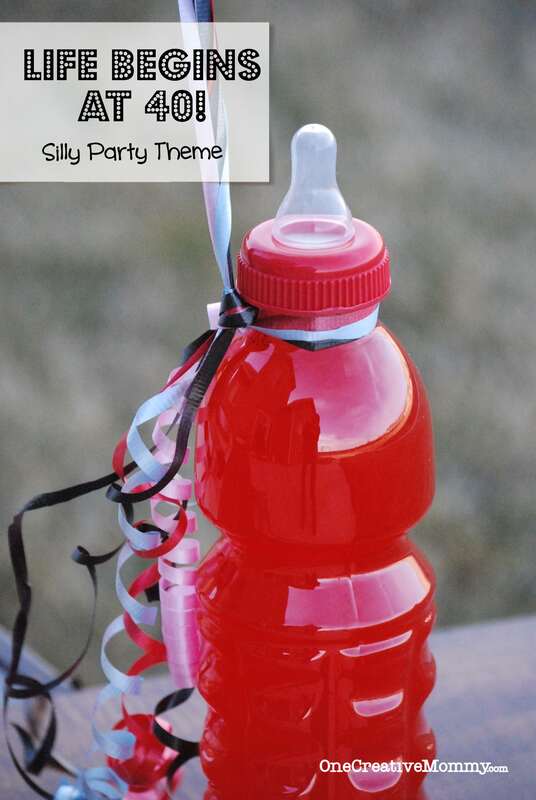 To go with the “life begins”–why not a baby theme? A bottle of Gatorade got a baby bottle top, some yellow balloons got a makeover, and we were ready to go. I know. 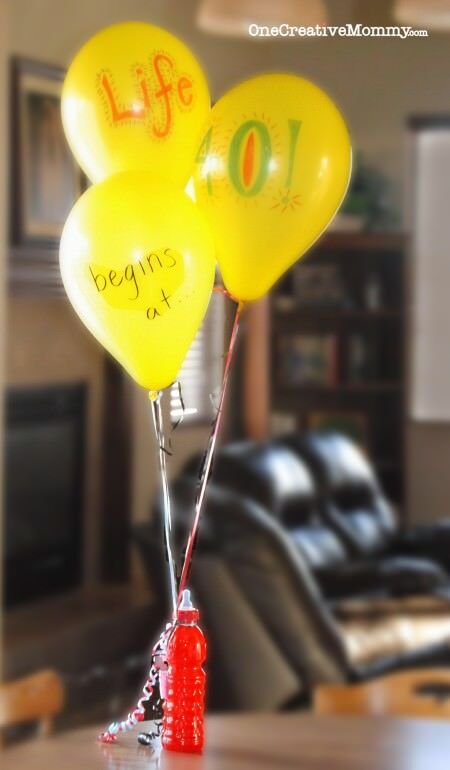 Silly, but it made for a great and cheerful 40th b-day theme! I guess I could have wrapped up a package of Depends, but maybe that would have been a little too much! Have you ever tried to take a picture of balloons outside on a windy day? Forget about it. It’s impossible! While you’re here, don’t forget to check out One Creative Weekend (open for new links every Friday-Wednesday). Click here to see the fantastic sites I like to link up with each week. LOL Now THAT is a clever twist! Great job! :) Love it! Happy Birthday, Bonnie! I turn 40 this year, too. We are definitely too young for “Over the Hill” parties, don’t you think? Forty is young!